Jillella is the founding director of the Georgia Cancer Center’s adult stem cell and bone marrow transplant program and served as chief of the MCG Section of Hematology/Oncology from 2005-13, when he was named associate director for Community Affairs and Outreach at Winship Cancer Institute at Emory University. 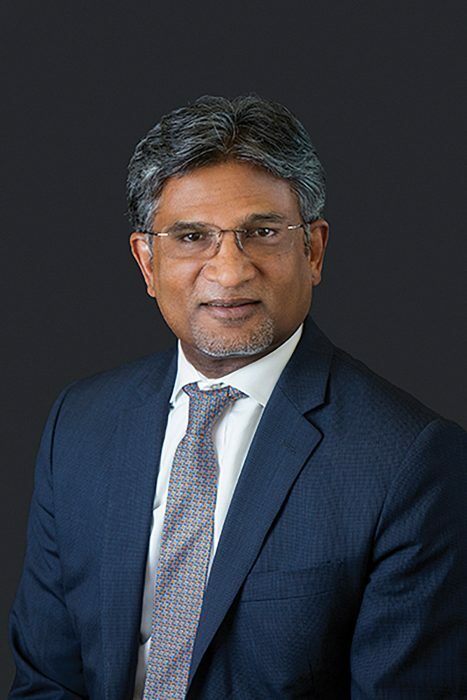 He also has served as medical director of the Winship Cancer Network, which brings clinical and population- based trials to communities throughout Georgia and the region. 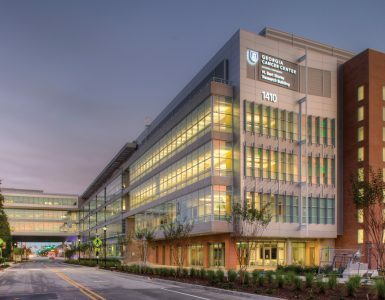 Jillella’s current research, funded by the Leukemia & Lymphoma Society, is a novel induction therapy for acute promyelocytic leukemia, a cancer of the white blood cells, which dramatically reduces mortality rates and starts as a national ECOG/ACRIN clinical trial July 1. His clinical focus is bone marrow transplantation for leukemia, multiple myeloma and other blood-related malignancies. Jillella is a graduate of Government Medical College in Kurnool, India, completed an internal medicine residency at MCG and AU Health, including a year as chief resident, followed by a hematology-oncology fellowship at Yale University School of Medicine and bone marrow transplant training at Johns Hopkins Oncology Center. Dr. Adam E. Berman, director of Cardiac Arrhythmia Services at the Medical College of Georgia and Augusta University Health, is the new chief of the Division of Cardiology in the MCG Department of Medicine. 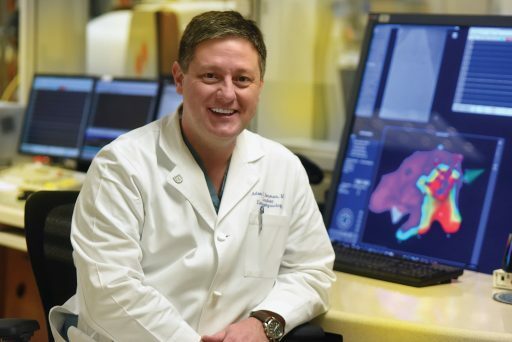 Berman, an electrophysiologist and researcher investigating better ways to treat debilitating and potentially deadly heart rhythms, also is associate program director of the Clinical Cardiac Electrophysiology Fellowship at MCG and AU Health. He joined the MCG faculty a decade ago. Berman, a 1998 graduate of the University of Mississippi School of Medicine, completed an internal medicine residency at Georgetown University Medical Center in Washington, D.C., and a cardiology fellowship in adult cardiovascular diseases at the Ochsner Clinic Foundation in New Orleans, including a year as chief cardiology fellow, and an advanced fellowship in clinical cardiac electrophysiology at Duke University Medical Center. Last year he earned a master of public health degree with a health management concentration from AU and is currently pursuing a master of science degree in health economics, outcomes and management in cardiovascular sciences from the London School of Economics and Political Science. 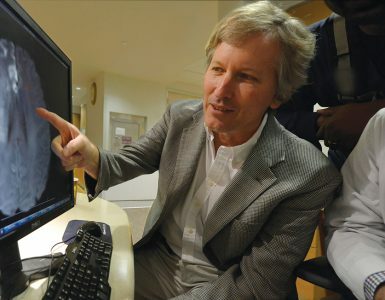 At MCG and AU Health, Berman helped develop and launch a comprehensive cardiac arrhythmia catheter ablation program and Georgia’s first multidisciplinary atrial fibrillation ablation program in concert with cardiothoracic surgery. He serves as a clinical proctor for physician training in stereotactic catheter ablation throughout the United States and Asia. Dr. Xin-Yun Lu, an established investigator pursuing the potential of two fat-cell derived hormones as novel therapies for depression and PTSD, has been named professor in the Department of Neuroscience and Regenerative Medicine at the Medical College of Georgia at Augusta University and Georgia Research Alliance Eminent Scholar in Translational Neuroscience. Lu, a pharmacologist, molecular behavioral neuroscientist and professor at the School of Medicine of the University of Texas Health Science Center at San Antonio, started at MCG June 1. “Dr. Lu brings to MCG and AU not only her exciting studies on novel therapeutic approaches for common and potentially disabling mental disorders, but new directions for a variety of major disease states – from diabetes to cancer – in which leptin and adiponectin appear to be a common denominator,” said Dr. Lin Mei, chairman of the MCG Department of Neuroscience and Regenerative Medicine and Georgia Research Alliance Eminent Scholar in Neuroscience. For 26 years, the Georgia Research Alliance has built greater collaboration among the state’s research-intensive universities to expand scientific discovery and launch new companies in Georgia. In fiscal year 2016, the GRA Eminent Scholar Academy was responsible for bringing in $527 million in competitive research grants and the scholars employed more than 1,250 in their labs. 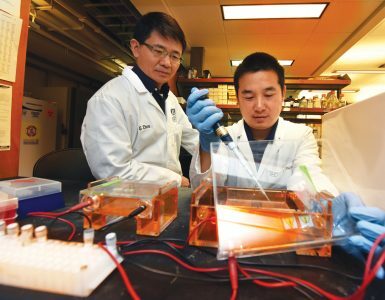 Lu’s research focus includes adiponectin, a signaling hormone made by fat cells and secreted into the bloodstream that helps regulate glucose levels by increasing the breakdown of fatty acids, which reduces insulin resistance. Low adiponectin levels are associated with diabetes, obesity, cardiovascular disease and cancer. Lu has established connections between low levels of the hormone and depression as well as PTSD, and identified adiponectin as a therapeutic target for both. Additionally, Lu studies the satiety hormone leptin, also secreted by fat cells, that appears to also impact emotion. Her scientific team has evidence in an animal model that chronic stress raises levels of stress hormones and decreases leptin levels. Her research suggests that giving leptin has a similar effect as an antidepressant. 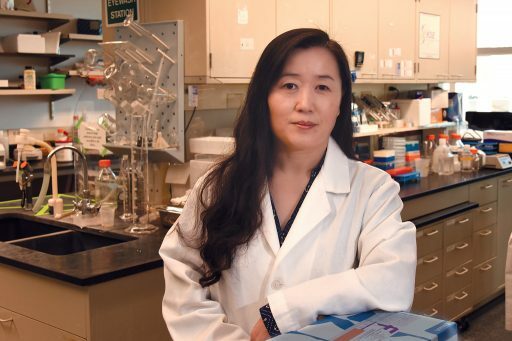 Lu’s work is currently supported by three grants from the National Institutes of Health; she has been consistently funded by the NIH for more than a decade and is corresponding or first author on nearly 40 peer-reviewed journal articles. She is a regular member of the NIH Neuroendocrinology, Neuroimmunology, Rhythms and Sleep Study section. She is founder and visiting professor of the Institute for Metabolic & Neuropsychiatric Disorders at her medical school alma mater in China. Lu is guest associate editor of PLOS Genetics, academic editor of PLOS ONE and guest field editor for the International Journal of Neuropsychopharmacology. Lu’s honors include an Independent Investigator Award from the National Alliance for Research on Schizophrenia and Depression. She is an avid educator and mentor for graduate students and postdoctoral fellows. She earned a medical degree from Binzhou Medical College in China; a doctorate in pharmacology from Washington State University and completed a postdoctoral fellowship at the Mental Health Research Institute of the University of Michigan Medical School in Ann Arbor. She joined the University of Texas faculty and moved to San Antonio in 2003.